S/Sgt. Billie Bob Hutton, son of Mr. and Mrs. W.H. Hutton, graduated from Wilson Cons. No. 2 School. 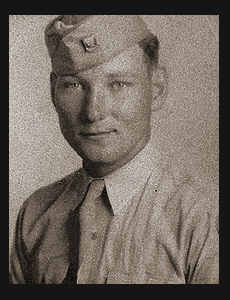 Entered Air Corps in Sept., 1942, trained in Sheppard Field, Texas, where he is now on duty. Awarded Good Conduct Medal, Am. Defense Ribbon.